Marge and Homer are Getting a Divorce! After 26 years of loving marriage and wedded bliss on TV, Homer and Marge Simpson are going to split. In an interview with Variety, executive producer Al Jean spoke to the site about the upcoming 27th season and the big move to have Homer play the field. What is happening?! It’s my fault, I know it is. I haven’t watched them in a while, I thought they would be ok. This is truly the end of an era. Just like Homer, TV’s longest running animated show is going in a new direction. Seeing Homer playing the field will be undoubtedly funny, but still sad at the same time. 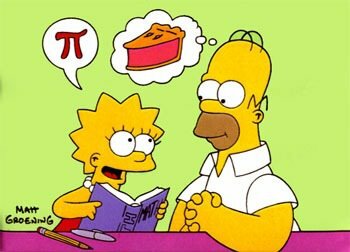 I’m being told that this day is actually meant for the mathematical term “pi”. Disregard what I have said previously. You Know When You Get Into a Conversation You Just Don’t Want To Be In?